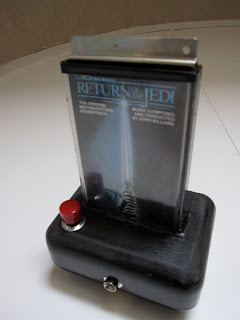 "The Jedi Mind Trick" started with a Star Wars "Return Of The Jedi" soundtrack cassette I found at a thrift store. Playing around with the case, I realized that playing cards fit almost perfectly inside, if you remove a few plastic stubs from the interior. 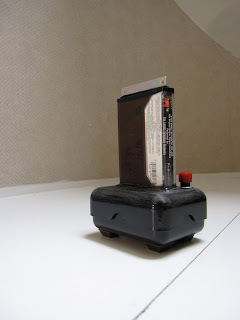 The stand is a soap container from Walmart. A strong LED lights up in the center. The sound is from a musical greeting card. Everything, including the rise of the card, is perfectly synchronized to the music, with the help of a micro-controller.